"Fall before my shadow sword." "Are there more doplegangers of Sonic!? "You'll pay for that!" The Shadow Sonic charges at Black. "No you don't. Disaster Sabre(say-bray)! Eat this!" Lan slashes the Shadow Sonic dealing 10HP. (To Netko)"You're not as strong as my dad said." "Oh really! I'll show you strong, Chaos LIGHTNING!!!!" "I have a slight feeling that im still alive in this timezone." OOC:the shadow sonic is dead already. "Actually,no,you're not. My dad also said that you were freinds until he told you something. He never told me what it was he said though." "I sware to god, if i see 5 more of these Eggman signs im gonna kill every robot in sight!" "I still remember Eggman trying to utlise my powers, metioning something about the emeralds........ Chaos and.......what was it........oh the Sol Emeralds, what they are is still a mystry to me." "Heh, i almost killed myself a few times ya know, you always have to know what your doing before you do it.....took me a while to learn that in some missions i had." "Yeah bet you never sourrounded yourself in lightning and ran at full speed towards the Bomb inside a GIANT FREAKING ROBOT which had the biggest missles ever" said Black sarcastically. Blue shot him a glance which seemed to say "Shut up now or your next"
"Shouldn't we be doing something like, i donno..... retailating against Eggman?" "First,we need to get to the resistance HQ." "Roger that, you lead the way!" "All clear, i think we should move." "How did you know that? Oh well,it doesn't matter right now. Lets get going." A brown fox was walking out of the base and when he spotted Netko, he imeatly covered his muzzle with a scarf. Netko looked at him suspisiously "Hey, something wrong?" The fox replyed to him "None of your buissness!" "Hey Lan, get this kid back where he came from." "What are you on about!? Do you want me to ge-" General Ivy grabs Netko. "I wouldn't make General Ivy mad if I were you. 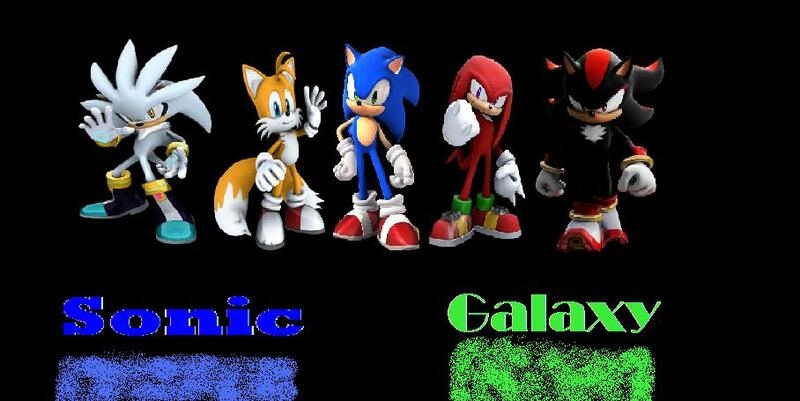 He's Sonic's second in command." "What have i done, huh!" "Fine but stay out of the road, and don't do anything stupid. Is that clear!" "More recruits i suppose, Lan?" "Hey!" Sonic said in a cheesy voice "Who said he was second in command?"